Managing your profile, subscription, tags, and other goodies. In this article, we're going to help you customize your Jar account. We'll cover how to edit your profile, update your subscription, enable and disable notifications, manage tags, get help, and log out. These settings are accessible from the upper right hand corner of the application. You can find them by simply clicking on your name. Get to this page by clicking on "Profile" in the drop down menu under your name. To edit information that is visible here, select "edit" in the details box. A pop-up will appear where you'll be able to edit details like first name, last name, email, phone, and user role (note: only admins can change user roles). Mouse over the circle icon and an upload option will appear. Click on upload and select a photo from your computer to use as your profile picture. Square images work best for Jar profile photos. Users no longer on your account may be archived. Archived users will not count as active user seats in your plan. If a user has forgotten their password, you may send a password reset email to them by clicking on "reset password" in the details box. They may also request their own password reset on the login screen. With Jar - you can customize the way the application looks to your clients and your team members. Most of our customization features are under 'settings' in the dropdown menu below your name. Select "Upload New Company Logo" to browse to and select the file you want. The recommended logo size is 90px wide by 30px tall and either a .jpg or .png file type. You can change the colors of the application by selecting "App Design" from the settings menu. Simply click on the color and select a color from the color picker, or enter in your own hex color. Click out of the picker to select the color. If you would like to reset colors, click "reset to default". Within Jar, you're can have a request form that is customizable to ask for the answers from clients you would like them to submit. When making changes, be sure to save your changes by click on "Save Form Fields" at the bottom of the screen. To edit fields, click on the down arrow of field you would like to edit. This will bring up the ability to edit. To delete fields, click the "x" button on the field you would like to delete. To add fields, click on the type of input you would like and while holding down the mouse, drag the field into the place. You can then edit that field as you would like. Click "Save Form Fields" to save any changes. To change what information goes into the footer of emails, click on "Company Details" in the settings menu. Click edit to modify the information, including which timezone you are located in for due dates. You can customize what the text of system emails says. In the settings menu, select 'Outgoing Emails'. Select "edit" to modify the content of the emails. You can use brackets to add information into your emails and customize them further. You can also add custom statuses to your workflow by heading to https://app.jarhq.com/settings/request-statuses and clicking "edit". 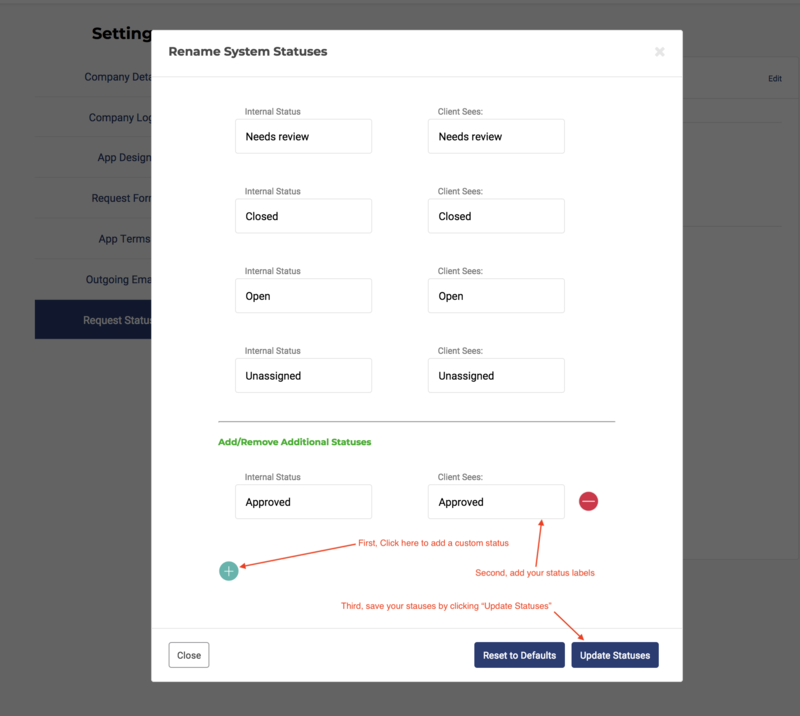 This will bring up a modal where you can add or remove custom statuses. To add a status, click the "+" button. You'll then be able to customize the label text. Once you've added or removed any statuses, be sure to click on "Update Statuses" for changes to take effect. 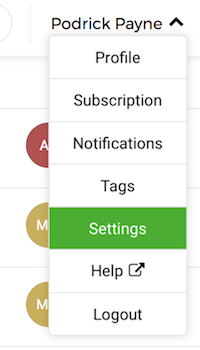 You can find your subscription information by selecting 'Subscription" in the drop down menu under your name. Here you'll find information about your current plan. From this page you may also add users, see prior invoices, customize invoices, and cancel your subscription. To add or remove users to your Jar account, click on "Add Jar User Seats". You'll be presented with a pop-up box. To toggle the number of active user seats on your account, click either the "+" or "-" buttons until the correct number of users appears. Select "Update Jar Account" for the change to your account to take place. User additions will be billed immediately to the card on file. To add information to your receipts, click on "Receipt Settings" in the "Past Invoices" section. Here, you'll be able to add any information you would like on your receipts, such as a VAT number, address, or full business name and we'll make sure it shows up on any receipt going forward. You can also have receipts emailed to you. 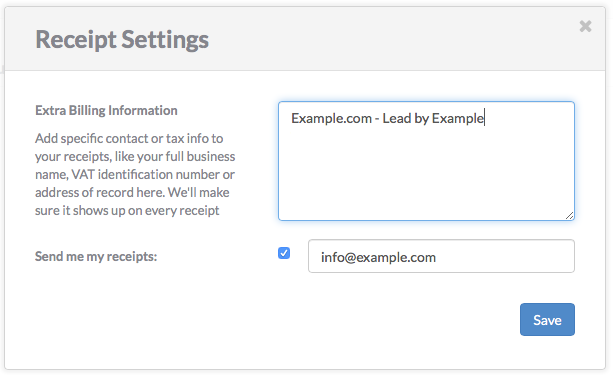 Just check the "send me my receipts" box and enter your email to have receipts emailed directly to you. Click "Save" to enable these settings to take place going forward. Jar sends users emails when certain events occur in their Jar application. For example, a designer may choose to be notified anytime a client or team member comments on a request they are assigned to by checking the "Notify me of any new messages on requests assigned to me" option . To enable or disable which emails are sent to you, simply uncheck the box for the emails you do not want to receive and check the box next to emails you would like to receive. Tags are helpful for organizing requests and tailoring your structure to your own workflow. For example, you may create a 'high priority" tag for requests that need immediate attention or "More information needed" for requests where an additional conversation with the client may be needed before work can begin. To see your current tags, select 'Tags" in the drop down menu under your name. Adding new tags is super simple. Just click on 'Add Tag', enter the name for your tag, and click on 'Add tag'. To archive a tag, click on it and select "archive tag" from the lower left hand corner of the window. Requests can be tagged by navigating to the request needing to be tagged, selecting the desired tag from the tag drop down box, and selecting 'Update' to have the change take hold. To log out, simply click 'log out" in the drop down menu under your name. You'll be signed out and brought back to the log in page.